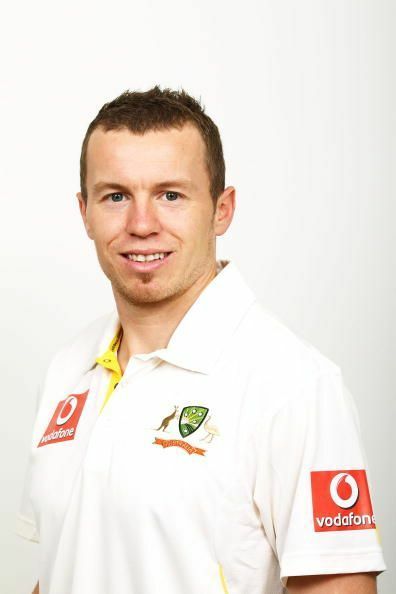 Peter Matthew Siddle is an Australian right arm fast medium bowler, who was born on November 25, 1985 in Victoria, Australia. He was named as the ICC Emerging Player of the Year in 2009. He’s also popular for his vegan diet and promotion of vegetarianism. Siddle started his cricket career at an early age of 14 years for Latrobe Cricket Club. He had early success there when he registered the figures of 11/47 in a match. Siddle went to Australian Cricket Academy before making his debut for Victoria. His career has been always indulged with ups and downs with his injuries coming up. After touring with Australia A against India, he was named in the national team where he made his debut against India in the 2008-09 test series. He ended with four wickets in that match, clinching Sachin Tendulkar as his maiden international wicket. His ODI debut was against New Zealand in February 2013 where he didn’t get to bowl much but had the bowling figures of 3-0-13-1. A couple of days after his ODI debut, Siddle made his T20 international debut against the Kiwis, and ended up with the figures of 4-0-24-2. On his 26th birthday (November 25, 2010), Siddle picked up a hat trick in an Ashes Test which included the important wickets of Kevin Pietersen and Paul Collingwood. Despite a few injuries in between, Siddle continued to perform with some fifers and in 2012 he rose to number one spot in the ICC test rankings. With his co fast bowlers Mitchell Johnson and Mitchell Starc retiring and suffering from injury respectively, Siddle became the most important bowler of Australian line up. Siddle’s injuries and vegetarianism have been majorly responsible for the deterioration in his performance. And with the massive growth of Mitchell Starc, Peter Siddle could not find his place more in the Australian side. This was shown back-to-back during the 2012-13 tour of India and the 2013-14 Ashes where he struggled to lay impact with his performance. After being out of form, Siddle lost his spot in the 2014 tour of South Africa and was asked to work on regaining the yard of speed he had lost. For the 2011-12 Big Bash League season, Siddle began his club career for Melbourne Stars before he moved to Melbourne Renegades for time duration between 2013-17. For 2017-18 Big Bash League, Siddle played for Adelaide Strikers and with young bowlers like Billy Stanlake and Rashid Khan he’s the senior bowler of the side. Coulter-Nile slams selectors over "poor communication"